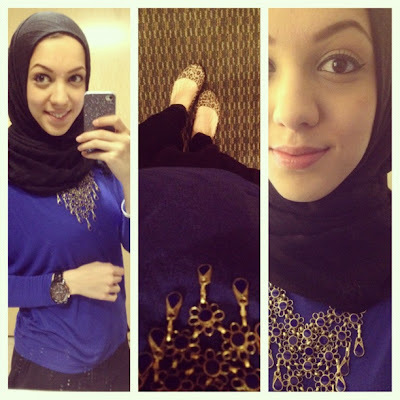 Hey hey, Insha'Allah (God Willing) you all are having a great day and Ramadan thus far! I have been studying every day, per usual, but I try to take some quick shots of my outfit. I totally forgot about this necklace I got over christmas as a gift from a relative in Iran. It's a very unique vintage style statement necklace which I fell in love with because it makes me think of how fashion is always coming back from previous trends. 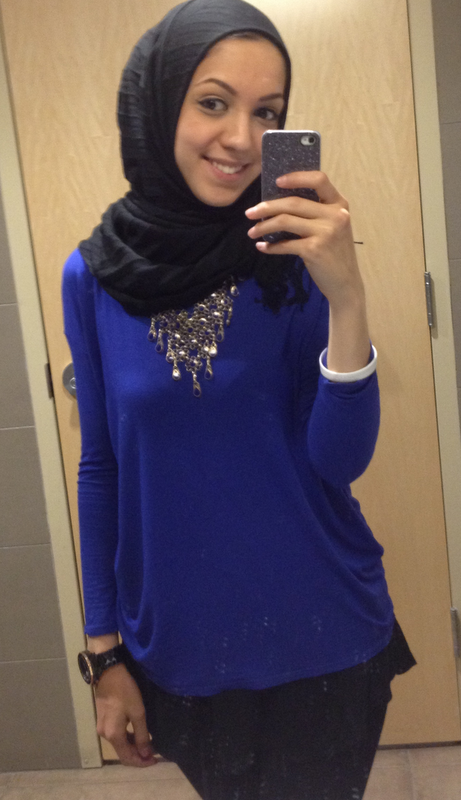 I kept the outfit simple with a blue shirt to match with a long black tank underneath and black skinny jeans. I spiced it up with cheeta print flats!